How to put together Cheap Lightweight First Aid Kit for a couple of dollars to buy yourself a little insurance on your next hike. 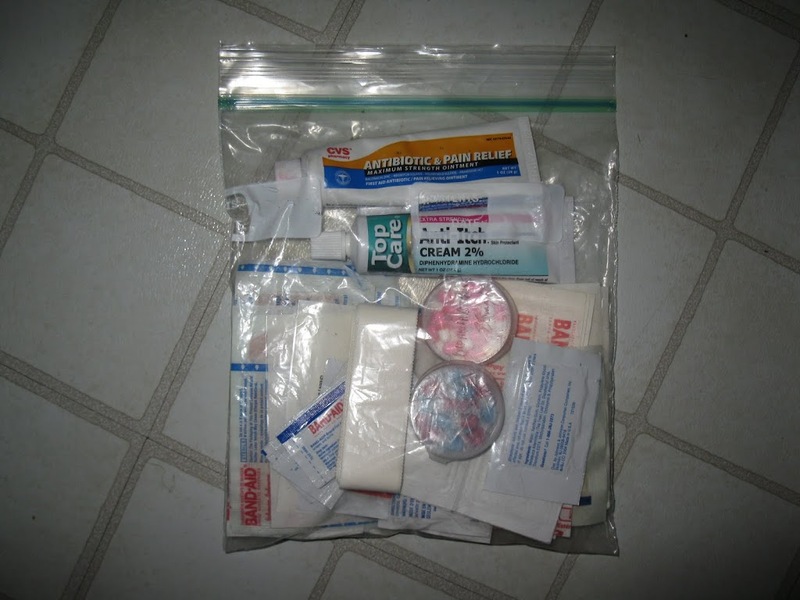 You can buy a ready-made first aid kit and spend between $3-120 dollars. I prefer to steal a couple of bandaids out of each of the boxes in the medicine cabinet. Any oddball stuff, like blister pads, you might need to go buy. Depending on how much I care about the well being of my hiking friends will determine how many options I add to the basic kit. I used to hike with children. Now that I hike with adults, I figure they should know better, but it’s nice to offer someone a little comfort once in a while. == at this point, I’m at 6 oz!